The Christmas (Wild)flower . . .
December has, for me, been a busy month filled with moving (more on that story in a future update) as well as traditional holiday activities. That may explain why the theme of Christmas colored my principle wildflower encounter in recent weeks. This season’s weather has been on average much colder than during the past few years. Most of New York City’s ruderal plants, annual and perennial, have consisted of brown stalks crowned by split seed pods. There was just one species of undomesticated flower consistently in bloom despite the cold. 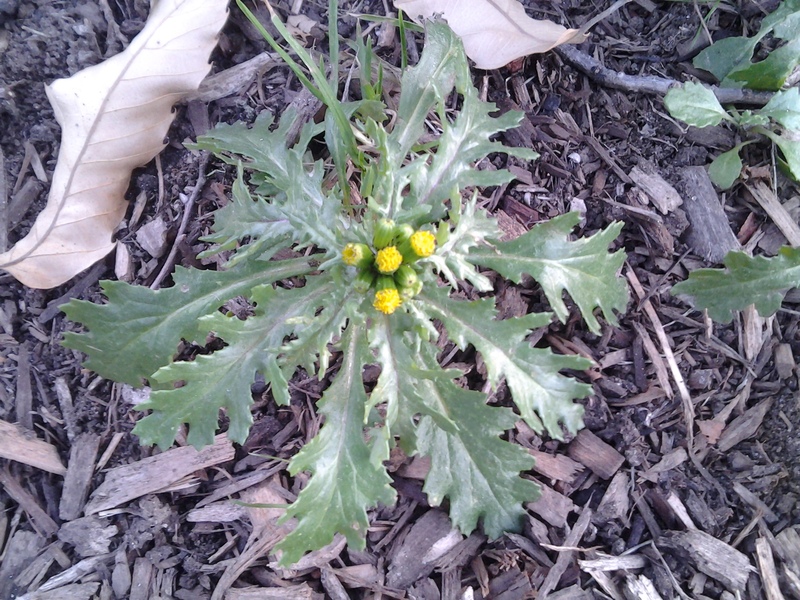 This is the Asteraceae immigrant, Common Groundsel (Senecio vulgaris). While the lovely red Poinsettia and the waxy white Mistletoe are most identified with a traditional Christmas, I can’t help point out the evergreen quality of Groundel’s leaves, edged like a snowflake, and the tight golden bauble of its bloom. 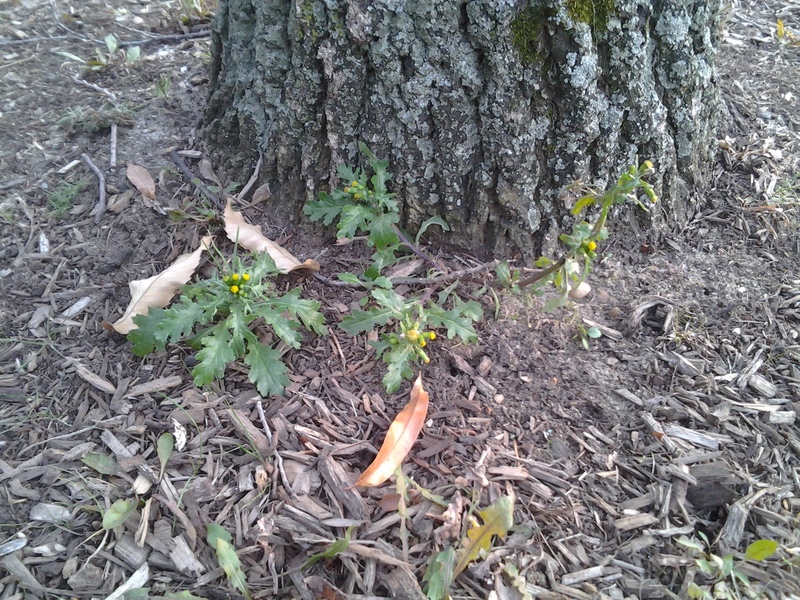 As far as the region’s established flora is concerned, Groundsel is, to me, the most authentic Christmas (wild)flower.